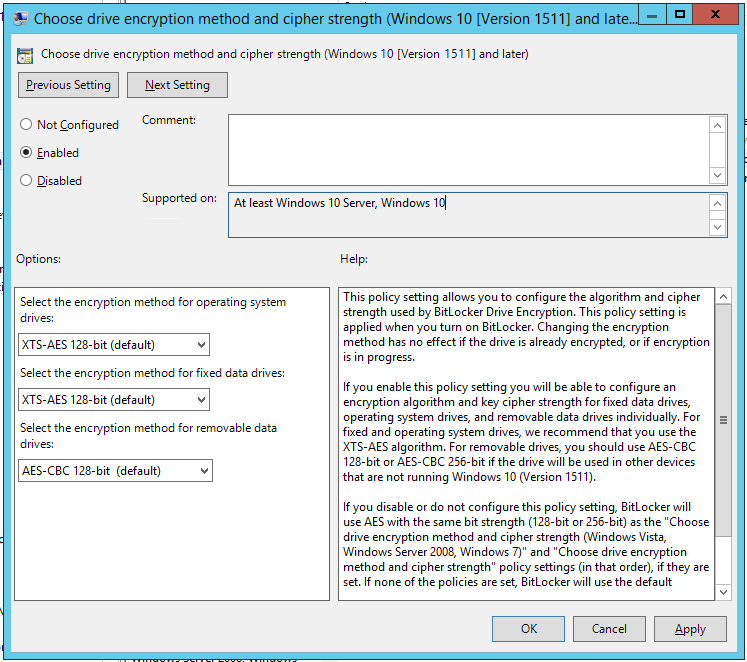 More info about BitLocker and XTS-AES here and here. More info about Microsoft Passport here. 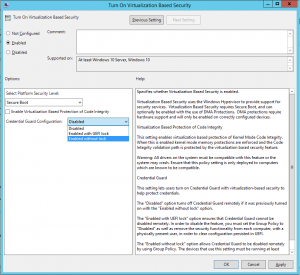 The “Enabled with UEFI lock” option ensures that Credential Guard cannot be disabled remotely. In order to disable the feature, you must set the Group Policy to “Disabled” as well as remove the security functionality from each computer, with a physically present user, in order to clear configuration persisted in UEFI. 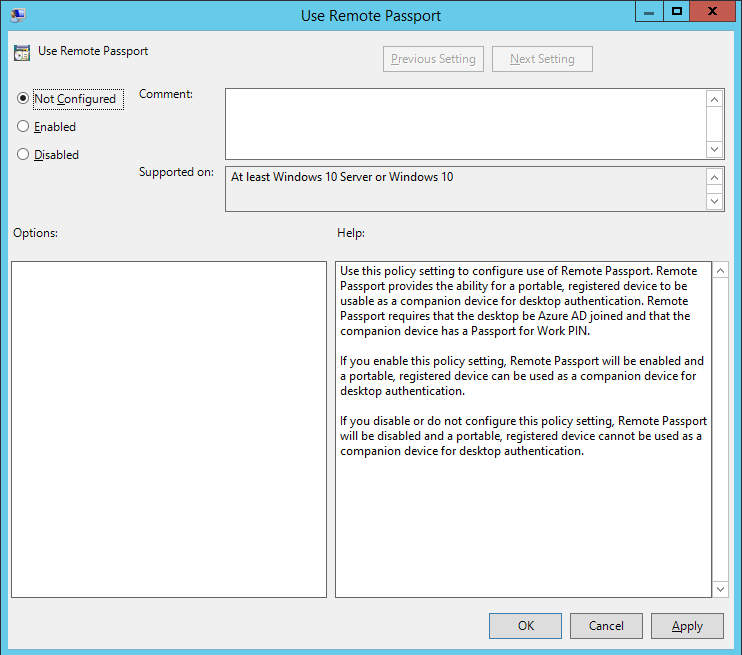 The “Enabled without lock” option allows Credential Guard to be disabled remotely by using Group Policy. The devices that use this setting must be running at least Windows 10 (Version 1511). 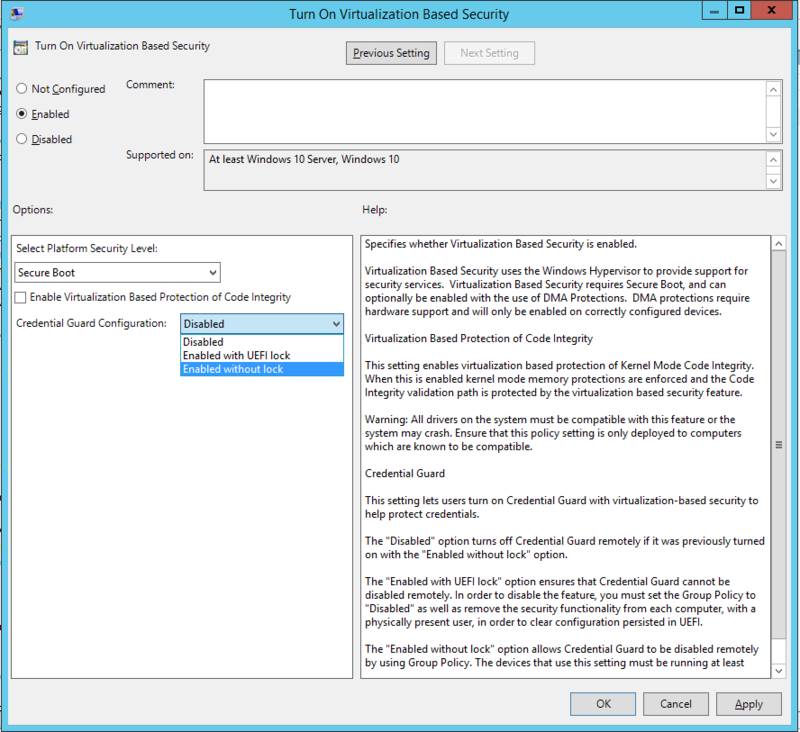 More info about Credential Guard here. Well that’s it for today. Enjoy the new Policys.